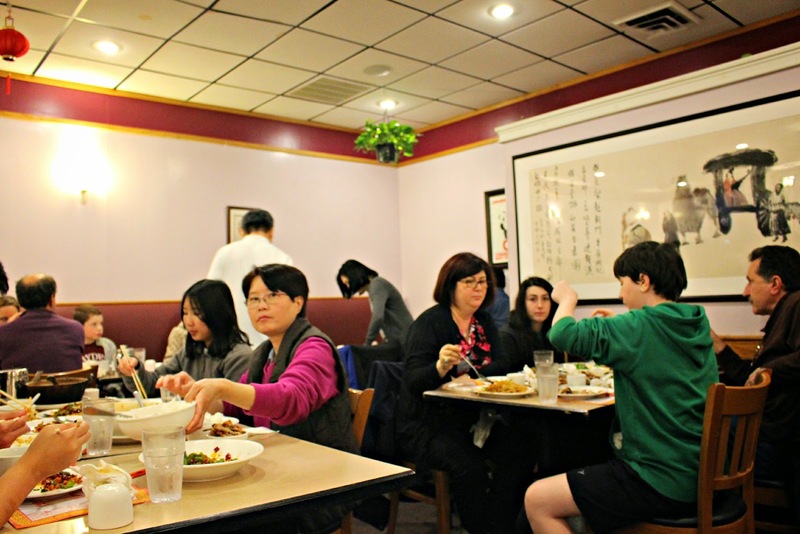 Located on a strip mall in Billerica center, Sichuan Gourmet appears to be just another Chinese establishment serving typical Chinese fare. My coworkers and I accidentally found this place last year when we were in the area and thought we could just get a quick Chinese combination plate for lunch and be on our way. While we were seated, the restaurant was jammed pack for lunch as the servers brought out interesting meals served in clay pots and metal pans as the spicy aroma filled the air. I nixed my original plans and felt adventurous to try one of the original sichuan delicacies, the old sichuan chicken. 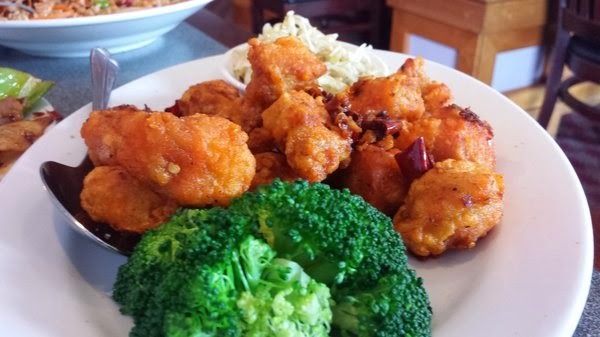 The balls of chicken was lightly coated with a sweet batter and tossed with chili peppers. This is the moment when I became hooked. Since then, we've tried almost everything on the menu from the Ma Po tofu with pork to the Smoky Hot shredded chicken. 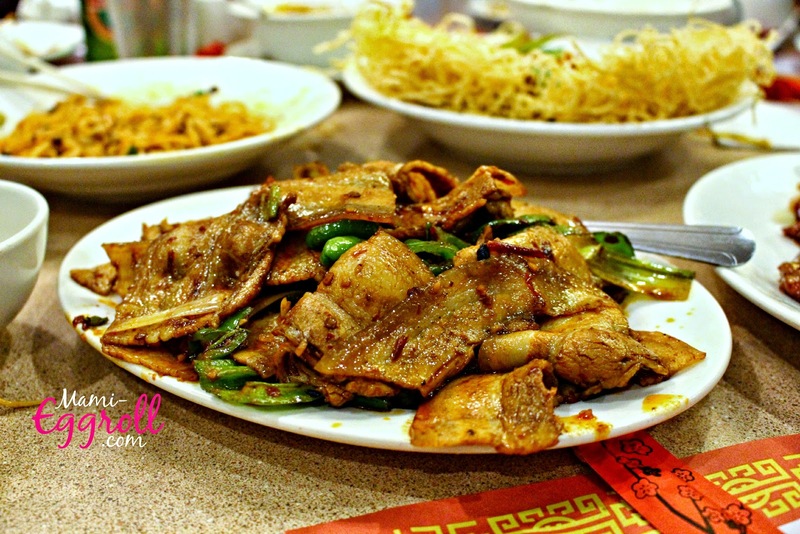 My friends and I haven't visited Sichuan Gourmet in a while so we decided to meet up on Friday night. I called the restaurant to make reservations and they advised that they do not accept reservations on the weekends and tables are on a "First come first serve" basis. We planned on meeting up at 7:30 so the Mo and I headed there a bit early to get a table at 7:00 PM. 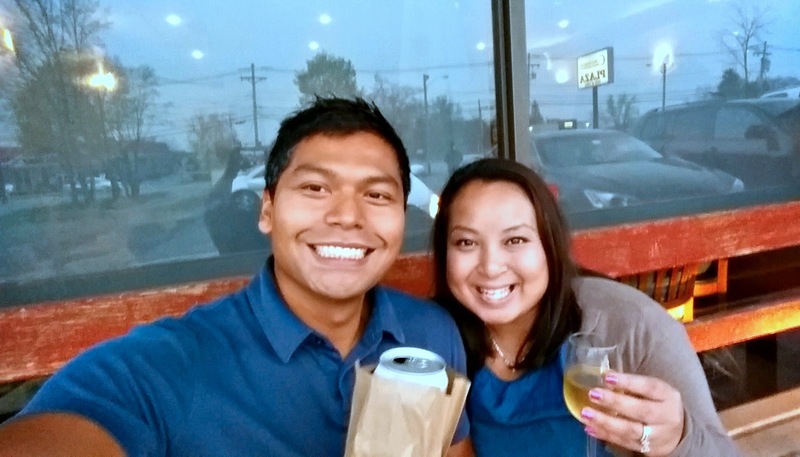 I ordered a white wine while I waited and the Mo went to the nearby convenient store and got a brown bag beer. We sat on the benches by the front entrance and shared conversations with other patrons waiting for a table. The restaurant was completely packed and there was not a single vacant seat. 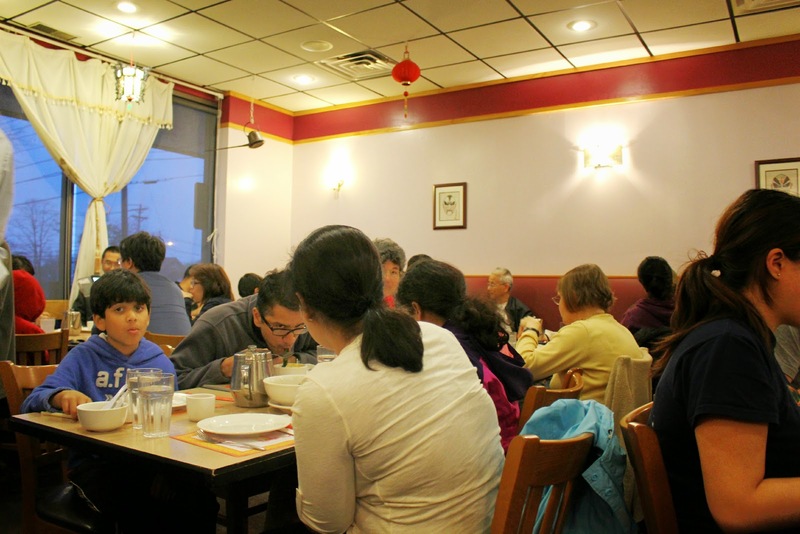 The clientele was mostly Chinese and Indian guests along with a couple tables Jewish families we previously met outside. 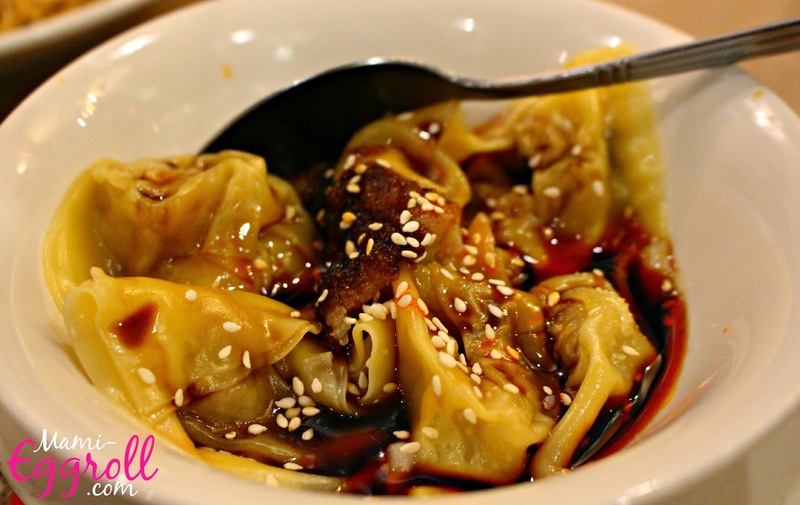 We started off our meal with the staple Sichuan wontons with spicy chili sauce. They are soooooo good. The wrap is not too thick and is perfect with the hot chili garlic oil. 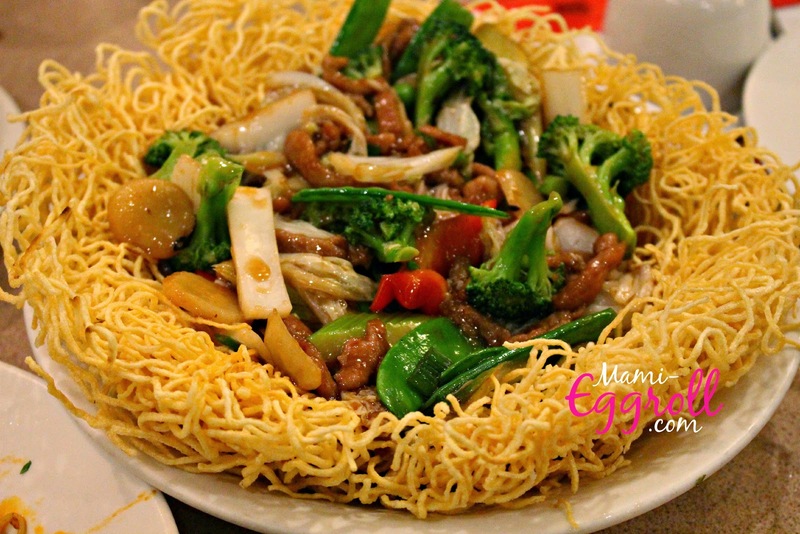 In additional to the heavenly wontons, we got Angel's favorite Dan Dan noodles. I learned that her boss used to bring her here for lunch (all the way from the Boston area). 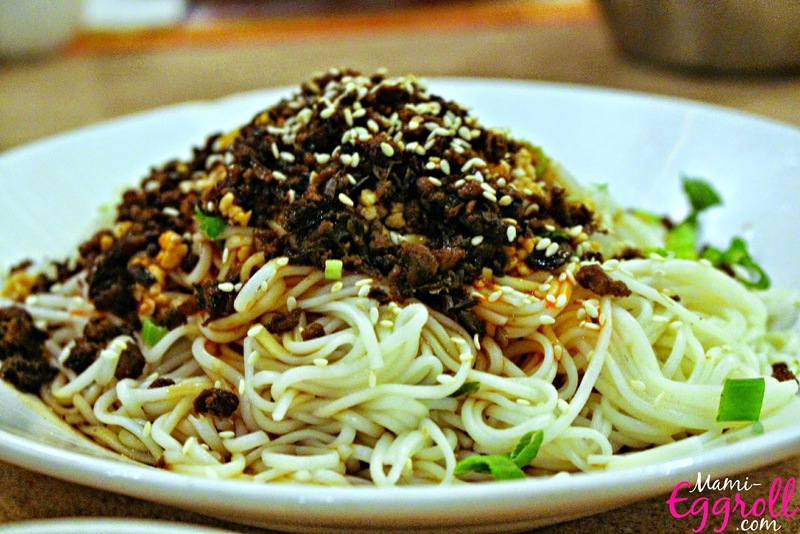 The cold vermicelli noodles sit on a sauce in additional to being topped with a ground chili mixture, sesame seeds and scallions. We mixed up the noodles with the sauces and toppings before we dug in. For our soup dish, I wanted to try something new and ordered one of their original creation dishes, Meat Ball Sichuan Style. 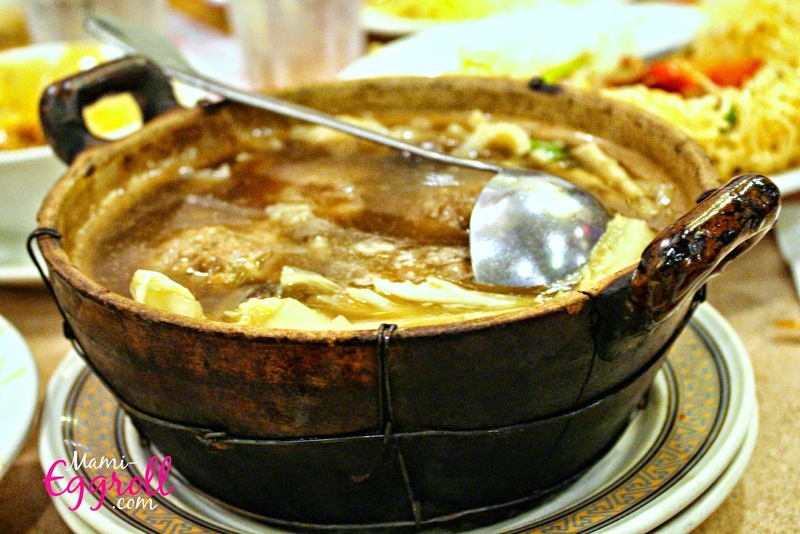 The dish was served in a traditional clay pot. There were large pork meat balls, mushroom and vegetables. The meat balls reminded me of a popular Cambodian stuffed bitter melon soup that my mom makes. It was good but I needed my fish sauce with fresh sliced Thai chilies to take it up a notch. Lisa and I both love the pan fried noodles so we got an order. I forgot to tell them to add Chinese broccoli but the dish came with pork, broccoli, water chestnut, pea pods and onions. 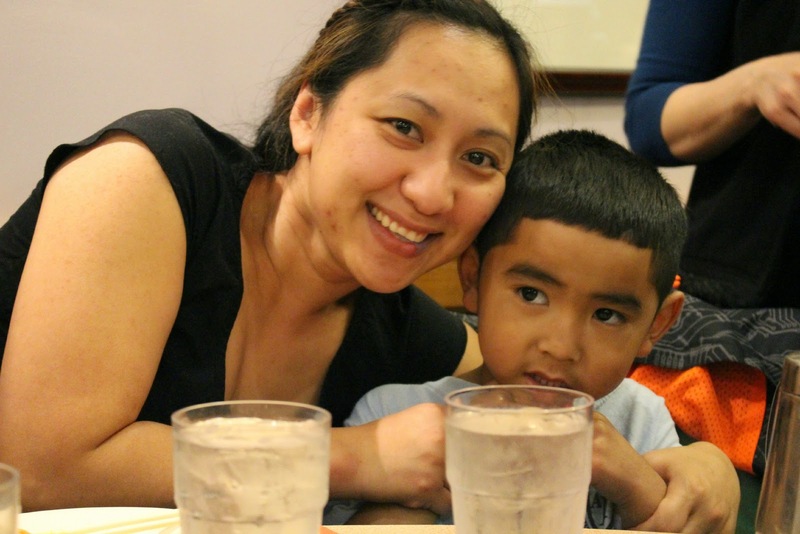 The noodle dish was pretty much the only thing the kiddos can eat. Do you like Kenji's new haircut and slim side burns? 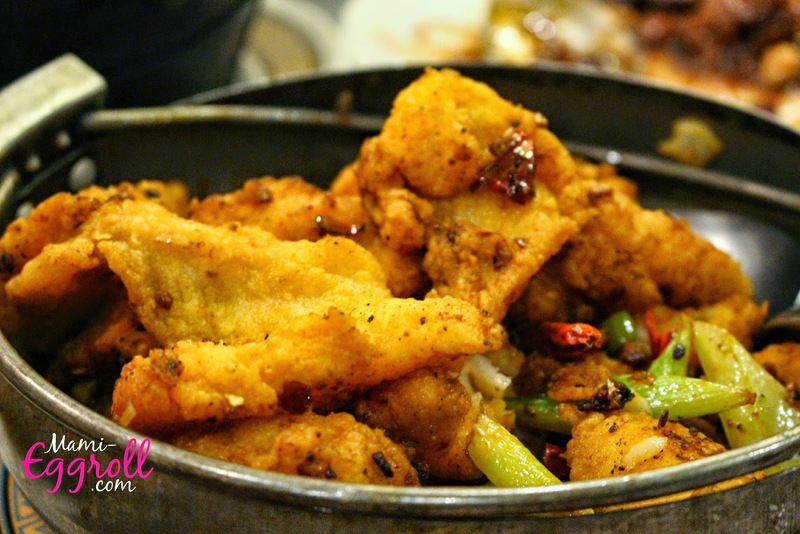 My absolute favorite dish is another one of Sichuan Gourmet's House special authentic creations, the Xiang La Fish Fillet. The battered white fish is served in a metal pan with a a smoky chili pepper crust. I'm a little embarrassed to say that we had not one but TWO orders of the Sichuan double cooked bacon. I mean come one now, who doesn't love bacon??!!?? I believe the bacon was steamed then tossed in a Sicilian chili sauce. It was definitely guilty pleasure. This dish sparked me to ask my fellow friends how much weight we've all gained in the past year. LOL. 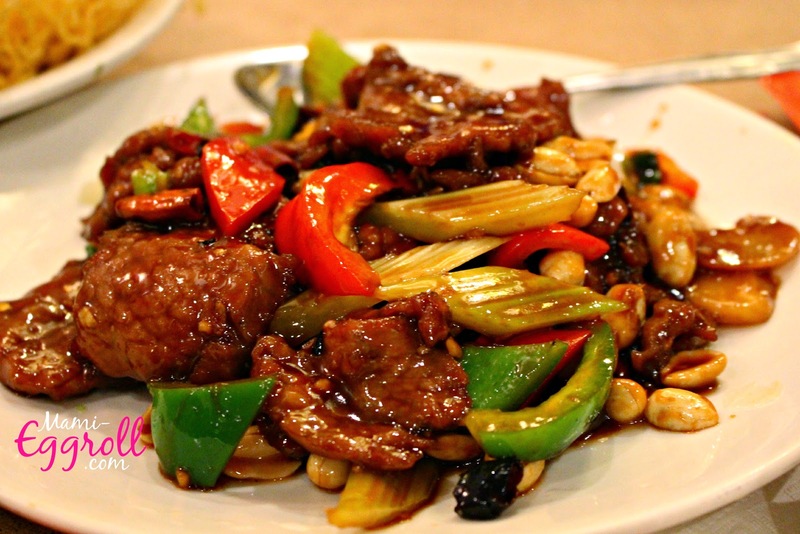 I read reviews that the Kung Pao chicken was really good so we ordered a Kung Pao beef. The beef was tender and the peanuts and sauce was a great marriage. The meal was delicious and CHEAP! For 8 adults and 2 kids with a couple glasses of beer and wine, it came to $ 160.00 with tax and 20% tip. That's only $20.00 per person! Sweet deal!